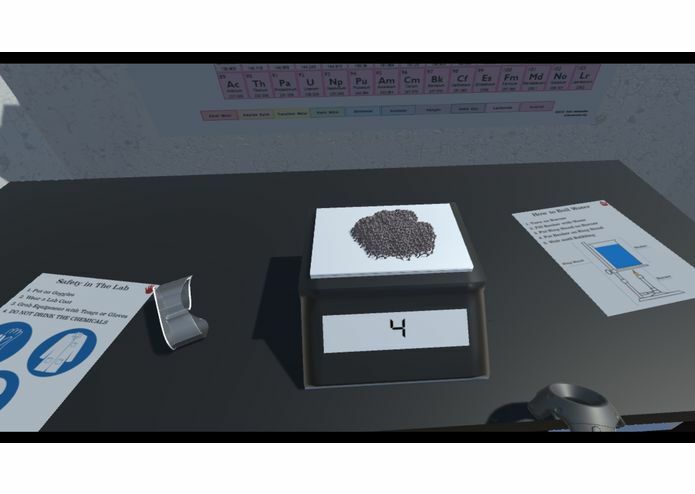 Chemistry Lab VR is an educational Virtual Reality experience that teaches students lab procedure and safety. Many different experiments to try! Careful, fire can be dangerous! Virtual Reality is a new medium that's capable of inspiring awe, conveying emotion, and granting experience like no other technology has ever achieved. With this power, we hope to make a positive impact in the world- and what better way than through education? After all... would you rather read a textbook, or EXPERIENCE learning in the most immersive way possible? With VR, there's a lot of incredible possibilities, and for this Hackathon, we knew from the start we wanted to make something educational. 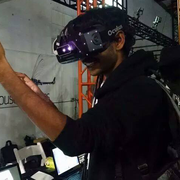 In fact, our team (Connor Smith, Anish Kannan, and Kristin Agcaoili) often pursues social good and meaningful Virtual Reality projects on a regular basis. 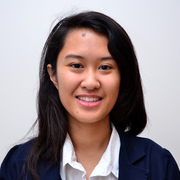 We're all officers in the Virtual Reality Club at UC San Diego, and lead frequent workshops for members. We've also won several awards for past social good projects, in areas including health, education, and environmental awareness. 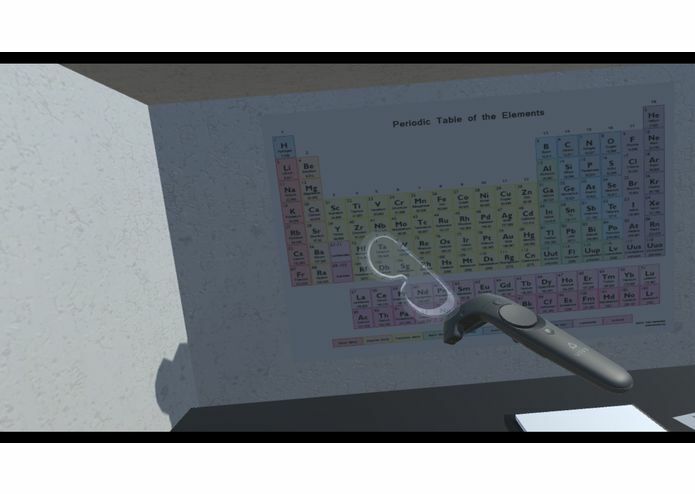 Now, equipped for the first time with an HTC Vive, we hoped to create yet another educational experience that could help students learn in a way that truly appeals to younger audiences. After enough thought, we focused on the idea of a chemistry lab simulation. Imagine being able to virtually perform labs and experiments before actually doing them in real life! Not only does it offer great training, but it outlines the risks that are often associated with chemistry labs and can effectively prepare students and teachers alike for real-world chemical experiments. The first step is to actually put on your goggles, which can be grabbed and physically placed on the user's head for full immersion. After that, it's free reign over lab experiments. 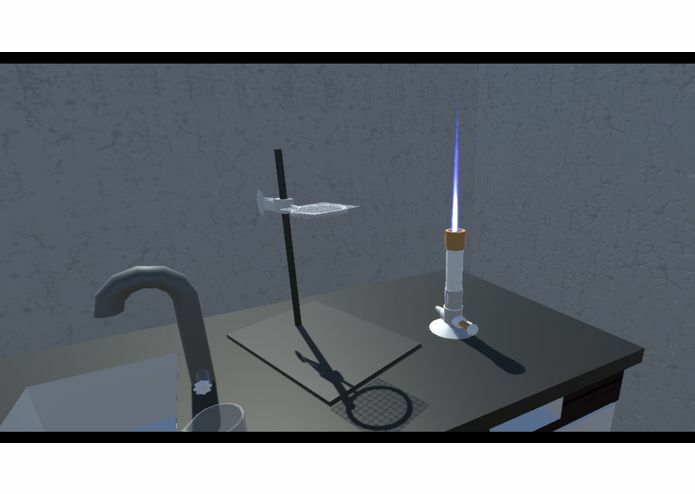 For example, it's completely possible for the user to grab a beaker, fill it with water from the sink, place a ring stand on the Bunsen burner, place the beaker on the ring stand, and boil water. An even cooler experiment involves burning steel wool to observe an increase in mass. Of course, it's also possible to burn the lab pages using the Bunsen burner, and although we don't recommend this... it's pretty fun. 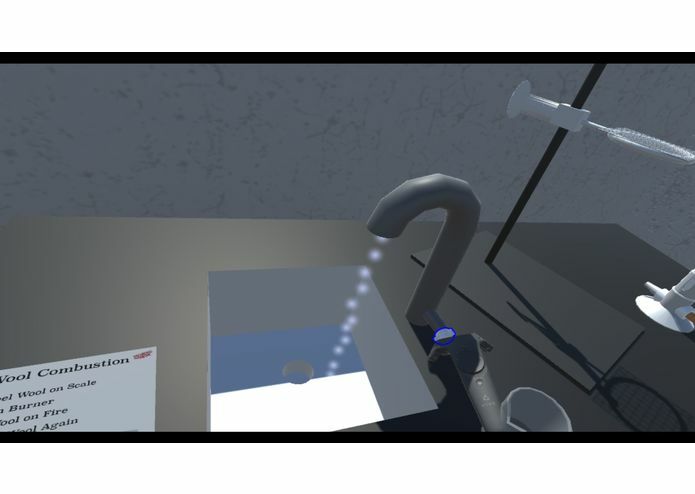 In order to create Chemistry Lab VR, we primarily used the Unity Game Engine, which involves C# scripting. We also used Autodesk Maya to create a vast majority of models in the experience. Of course, and most importantly, the project was created for the HTC Vive and was built with the help of SteamVR. We brought our own desktop computer capable of running Virtual Reality systems, and our own HTC Vive for development. This was our first time actually making an HTC Vive game at a Hackathon. We'd worked with Virtual Reality and Oculus before, but trying to set up the Vive and develop with it was an entirely different experience. We already faced an obstacle just trying to set the equipment up in a packed hackathon space, and barely met the 2 meter x 2 meter minimum space requirement. Much of our time was actually spent demoing the HTC Vive to others. Since it's new technology, most people at the Hackathon wanted to try the device. We were flattered and extremely willing to show others what we're so passionate about, but inevitably, it did greatly cut in to our development time. The hardest part about this project was probably coming up with the idea in the first place. We like to create meaningful experiences, and go above and beyond the current standards in Virtual Reality. After already making an educational cell biology game (Cell VR) on Oculus Rift, we had some trouble choosing a direction. 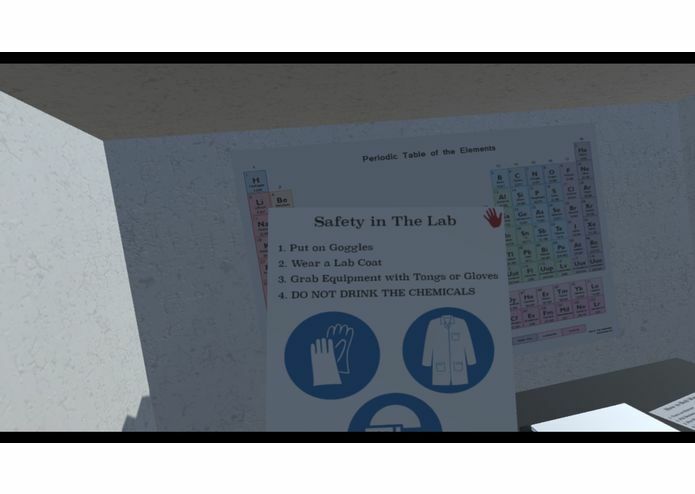 Thankfully, after walking around at midnight at UCSB, we were able to come up with the idea for Chemistry Lab VR. We were actually able to create a full HTC Vive experience in the span of 36 hours, and had the amazing chance to share this technology with others. It's always enjoyable to come to hackathons and be in an environment with other tech enthusiasts and innovators, and so it was even more surreal when we were able to spread our own passion and share our experiences with others. On the technical side, almost all of the 3D models in the game were created by our team. 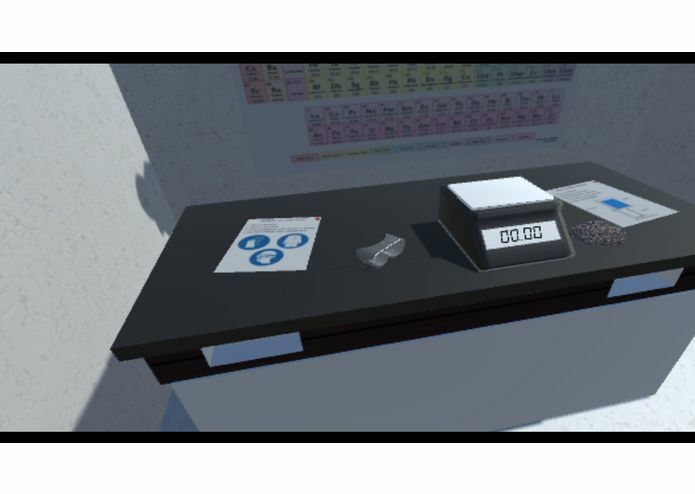 These include the tables, the room, the information sheets, the scale, the Bunsen burner, the ring stand, the sink, the flask, the beaker, and the goggles. It's very rewarding to actually create so much of our own content, especially with an original idea. We learned how to develop using the HTC Vive for the first time, an experience that required a great amount of team collaboration (especially when it came to debugging using the actual hardware). 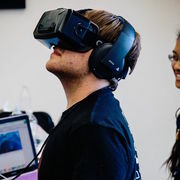 As officers and dedicated members of the VR Club at UC San Diego, we often form teams based on our hackathon projects and allow club members to work on experiences we created. This is a create way to get a group of extremely motivated people working with real, cutting edge technology, and also a fantastic method of continuing our original work. Through UCSD VR Club, members can expand on projects, create new projects, and improve projects in ways we may never have thought of. We hope to see this project reach great heights, as it's something that can actually help people in a positive way. I wrote several C# scripts and created particle systems from scratch. 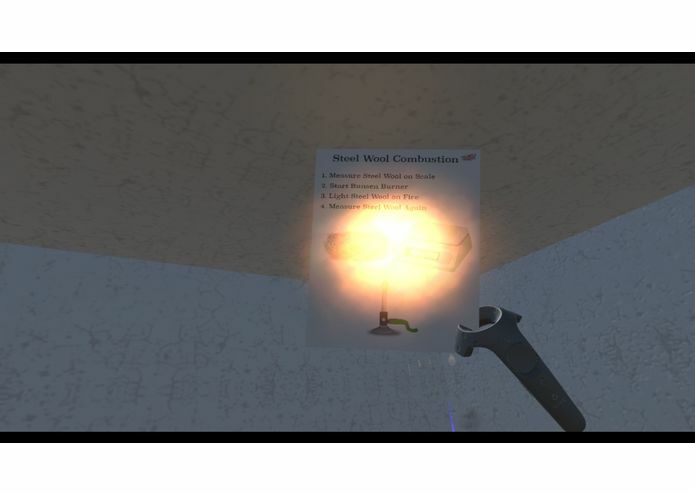 The scripts I wrote allow for knob rotations on the sink and bunsen burner, placing goggles on the user's face, weighing objects, and burning objects. I created the particle systems that show fire outputting from the bunsen burner and water from the sink, which notably change speeds and amounts as the knob is rotated. Also, I hacked together the steel wool model, designed the room using assets created by Kristin, and set up all the physics colliders in the scene. 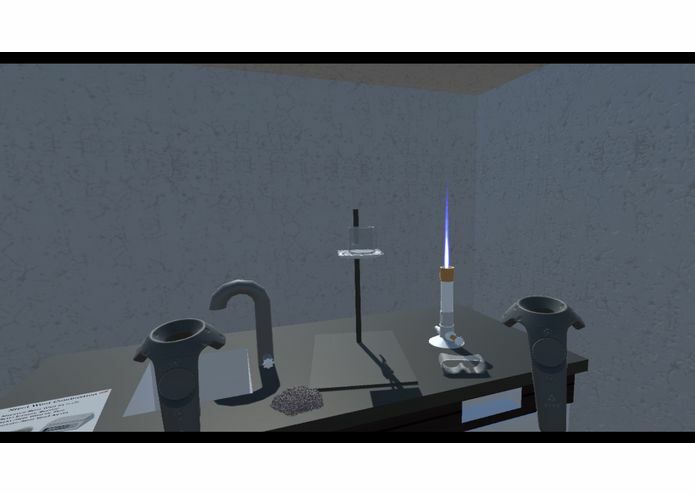 I created the models (Bunsen Burner, Beaker, Safety Goggles, Tables plus Sink & Faucet, Ring Stand plus Wire Mesh, Scale) using Autodesk Maya. I also made the lab sheets with Adobe Photoshop. I'm proud of the fluid system I made (try pouring out the water). I also researched the labs we ended up using.